Know The 10 Signs of Lung Cancer Before It's Too Late! Home health cancer Know The 10 Signs of Lung Cancer Before It’s Too Late! According to the American Cancer Society, lung cancer can be a silent killer because of its subtle and often overlooked symptoms. Even if you don’t smoke, that fact doesn’t make you immune to lung cancer. This disease can occur to nearly anyone, so it’s critical to be aware of specific signs that could point to cancer development. 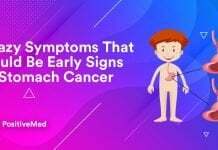 Catching any cancer early on allows you to possibly recover and live a long life afterward. Everyone coughs up phlegm at times, especially when you’re sick, but blood should never be involved. If you cough up a few drops of blood, that’s an indication that you must visit a doctor. The blood loss will only worsen over time. Losing weight is usually a positive event, but excessive weight loss without any lifestyle changes is an immediate warning sign of possible cancer. The body isn’t using nutrients efficiently, so it’s expelling them. As a result, you lose weight even with normal eating and exercising patterns. Many cancers eventually spread into the bones because they’re near almost every major organ in the body. If you notice aches within your hips or back, ask a doctor to check your health. Although other issues might be at play, such as arthritis, lung cancer could also be involved too. You could have a chronic cough or even a brand new one. If this cough persists, the Mayo Clinic suggests seeing a medical professional. 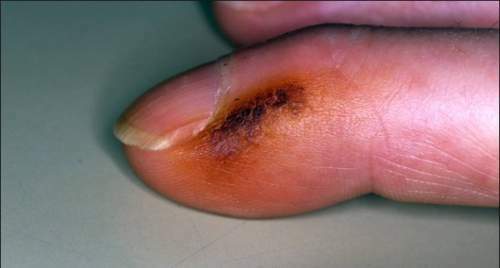 This symptom is a classic lung cancer sign that usually surfaces in the early stages of the disease. Take a cue from that cough to have it looked at immediately. Any chest pain is a concern for patients because this area involves the lungs and heart. If you breathe in deeply and feel an ache or pinch, speak to a doctor as soon as possible. Lung cancer might be pressing against your chest and causing this pain. When you suffer from pneumonia or other respiratory infection, it should clear up and leave you healthy again. Lung cancer patients become infected with respiratory issues, and these ailments seem to stay with them over many months. Doctors may even prescribe antibiotics that only slightly curb the infection, making cancer a real possibility. Lung cancer patients often suffer from wheezing where an obstruction is hindering air movement within the body. In fact, this wheezing won’t go away until a doctor can accurately diagnose the issue. It could be a basic respiratory infection, but other times a cancer diagnosis is possible. Cancer cells prey on healthy body cells and force the immune system to be on constant high alert. As a result, cancer sufferers are almost constantly fatigued. Their bodies are trying to fight the invading cancer cells. Speak to a professional about any fatigue issues before they worsen. Your healthy lungs allow you to speak with clarity, but the onset of cancer makes breathing difficult. As a result, you might sound hoarse most of the day. Your doctor can check your lungs, throat and mouth to determine the cause for any chronic hoarseness. Another unusual sign of possible lung cancer is hay fever or seasonal allergies. When allergy sufferers breathe in pollen and air pollutants, their immune systems overreact. The sinuses fill with phlegm and wheezing might be present. However, these symptoms are also associated with lung cancer too. If hay fever symptoms don’t seem to waver day-to-day, it’s important to see a doctor as soon as possible. A professional can narrow down if the issues are truly a seasonal reaction or something worse. Doctors perform allergy tests on the patient, so that they can see if the body reacts to acute exposure to common allergens. If these allergy tests fail to show any results, doctors often resort to other procedures and determine any internal issues. X-rays and MRIs, for example, are common procedures for patients. These images allow doctors to see into the body and make an accurate determination on the issue at hand. Be honest with your doctor if you notice these symptoms occurring in your daily life. Your doctor can easily order certain tests to rule out any problems. 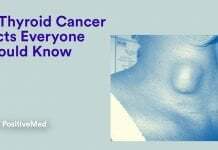 Ignoring symptoms won’t make them go away, and the result might be lung cancer in advanced stages. Check yourself and stay healthy for the best chances at a long life.